For our Small accounts and above, we offer the ability to share your account with other team members. You have the option of giving them full access, or restricting them to read-only access. 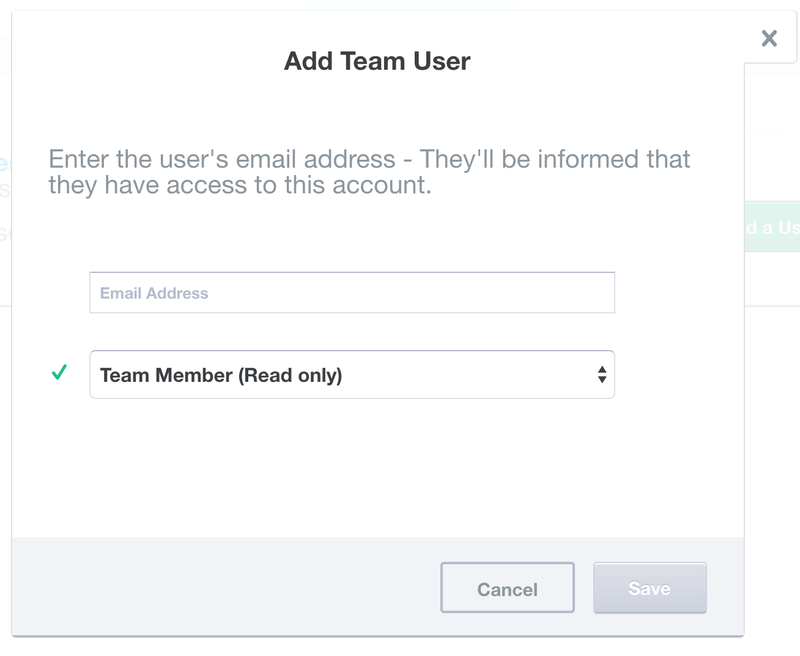 Enter the user’s email address and choose whether they are a “Team Member” with read-only access, “Read and Write” user with the ability to control everything but the team itself or a “Team Owner” who has all the “Read and Write” permissions plus the ability to invite and remove other invited team members. The user will receive an invitiation to join your account. Once the user accepts your invitation and logs in to Hosted Graphite, they will be automatically placed in the team account with access to Graphs and dashboards. It should go without saying that you should only invite someone you trust to view the account. If you’ve accidentally invited someone you no longer trust, you can delete them by clicking the “Remove User” button. 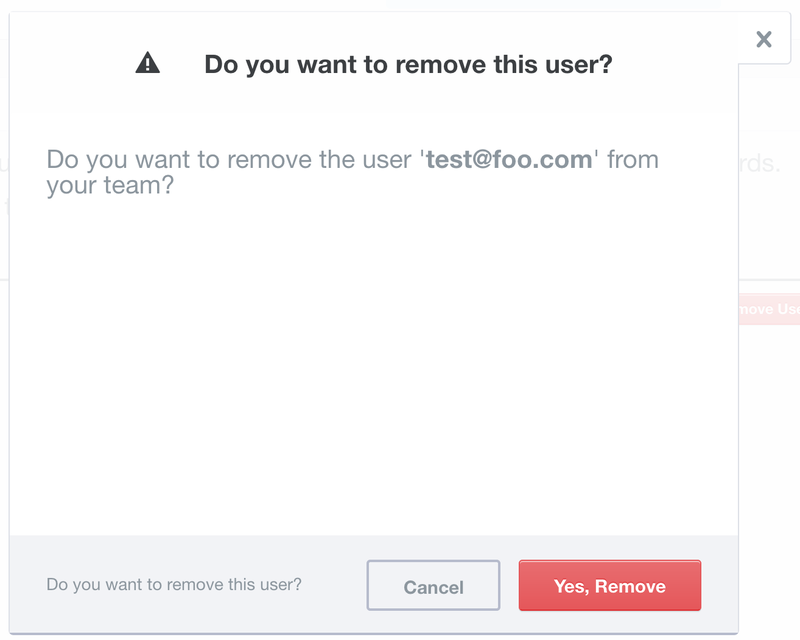 After pressing the “Yes, Remove” button, the user will be removed from your team.